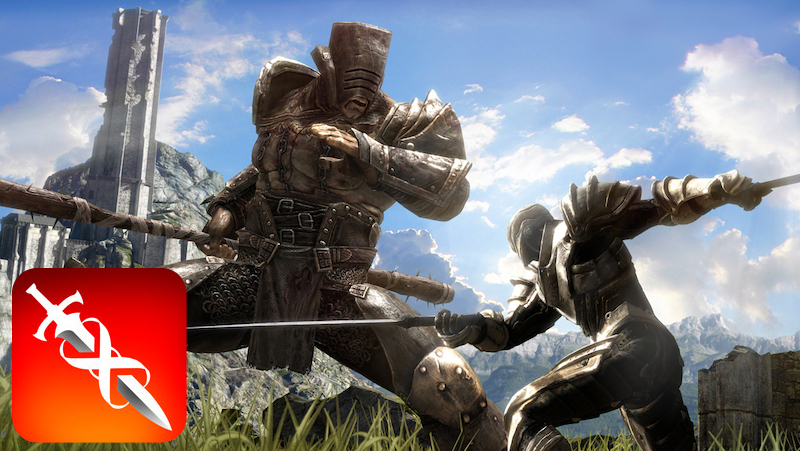 Epic Games today announced that its Infinity Blade role-playing game trilogy has been removed from the App Store. In a blog post, the video game studio said “it has become increasingly difficult for our team to support the Infinity Blade series at a level that meets our standards,” adding that the trilogy “will always hold a special place” in its history. Along with the three Infinity Blade games, all in-app purchase options have been removed, according to Epic Games. iPhone users who already purchased the games will remain able to play them, and re-download them from the App Store using the same Apple ID that was originally used, for the foreseeable future. Infinity Blade is a gesture-based fighting game that debuted on the App Store in December 2010 following an on-stage preview at an Apple event three months prior. At the time, TouchArcade reviewed the game’s console-like graphics as “the best we’ve seen so far on the App Store,” raising the bar for mobile games. Infinity Blade II followed in November 2011, while Infinity Blade III was released in September 2013. Both sequels also received stage time at Apple events, and remained critically acclaimed in 2018, despite the latest title being five years old. Epic Games now has a multi-billion-dollar valuation thanks to the success of its smash-hit battle royale game Fortnite, so the company certainly has the cash flow needed to keep the Infinity Blade trilogy alive, but they are evidently moving on. Over the next month, Epic Games said it will continue to support Infinity Blade III with updated Clash Mobs and other surprises. It has also made its Infinity Blade sticker pack available for free in the App Store for iMessage. And it looks like the Infinity Blade sword will live on as a weapon in Fortnite. Samsung Galaxy Note 9 to be introduced on August 9th?